There was a quote from an old snowboard movie, "First Descent," about how it's fun to put something down for a little awhile and then pick it back up. 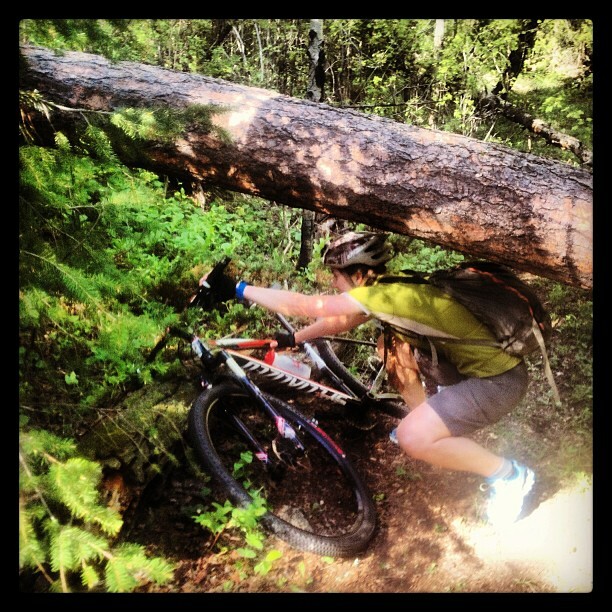 That's how I'm feeling about mountain biking these days. Thanks to some fortunate time changes at work, commuting from the 80466 to the land of Boulder is not only plausible, it's practical. Toss in a free bus pass for the ride home, and summer of 2013 is quickly turning into the summer of riding. Between 1999-2005 I was a religious bike commuter. The pattern was engrained – out the door from the little wind swept valley known as Eldora – cruise along the road, up the haul road, and then take any array of trails to my workplace at IMBA. It was 2-3 hours of quality woods time five days a week, and often I'd ride home for good measure. These were back in the days of the Intergalactic Pilots, of our little posse of DK, Timmy P, Meriwether, the Harrods and myself used to meet at the top of Lazy Z and rally it in. It was a source of pride, riding our bikes, and we'd ride four seasons of the year. Good times for sure. Alas, life happened to a lot of folks, choices were made and friendships dissolved, but regardless, those were some rad days and I wouldn't trade them for the world. It's a new era. It's been cool to read about DK teaching the next generation the ways of the bike, and eventually, I suspect when the time is right, the ways to defend it from those who don't give a damn. I feel the same way with my wife. Her progression on the bike during these commutes in is mind blowing…suddenly she's cleaning re-boot and you can see increased confidence with each pedal stroke. It's fun to see that and take myself back to 1991 when I was just learning the sport, pedaling around the hills of Vermont. I've been taking stock of the local trail situation. Some the same, some changed. West Mag is damned disaster, and it's probably good I wasn't involved in the scene when the clear cut decision went down as I would have lost a few years from stress. Random bulldozer tracks on ancient connectors are odd, but the swoopy lines found on west-east Mag are stellar. The gates are still green, the magic is still enticing but the trail head bathrooms are a lot bigger. We're just scratching the surface right now, and I feel like a kid in a candy store with all the things to explore and re-explore. These mountains are home to this clan and it's great to be back on the bike where it all began, a pilot and a fledgling pilotess exploring our backyard.